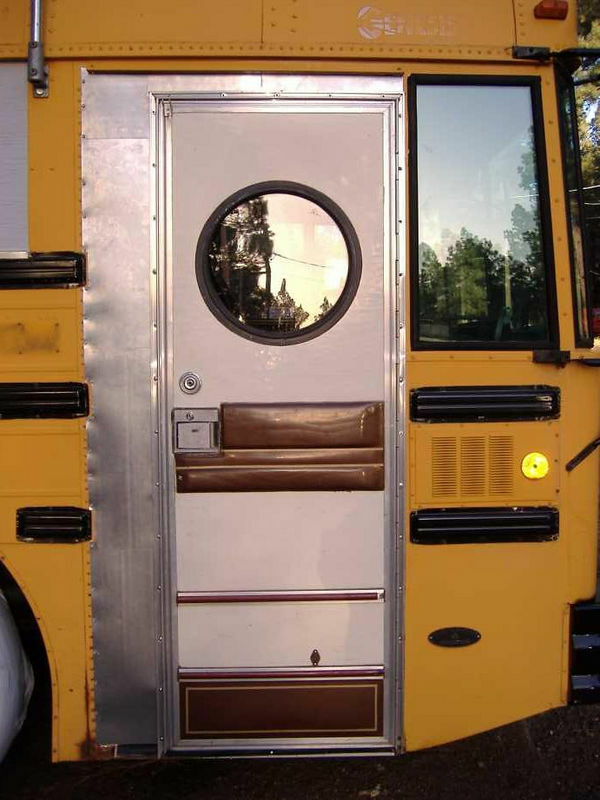 This weekend we installed the RV door in place of the standard folding bus door. 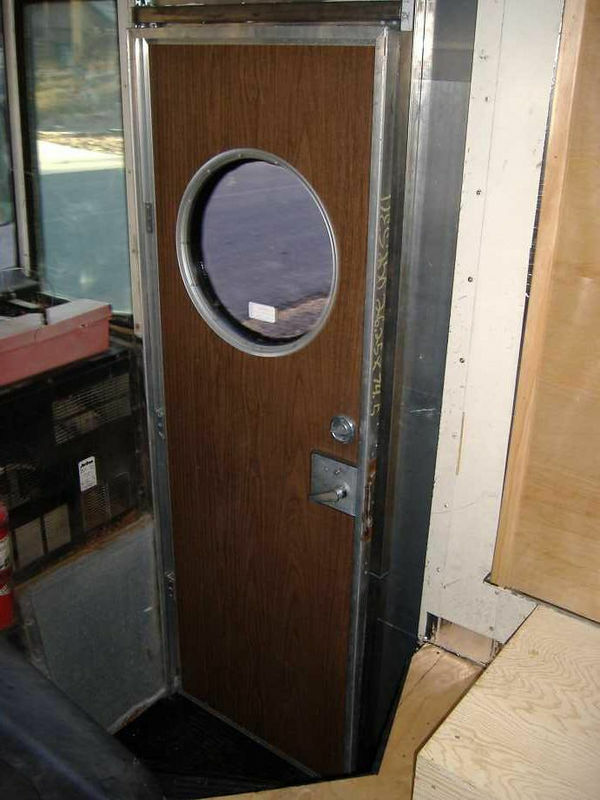 The RV door was smaller in both dimensions, so we were required to build a frame. The tubing we used was 1/16th" thick, 1 1/4" square. The door is 6" narrower and 3" shorter than the existing opening. 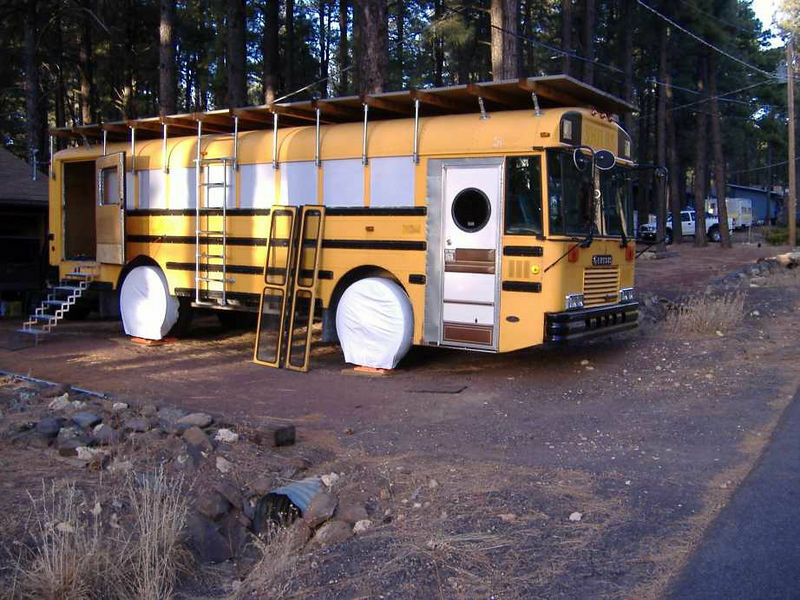 The square tubing was only available in 4' and 6' lengths, so we welded 2 together end-to-end and then cut to length. We used string stretched across the opening (held by magnets) to mark the flush surface of the opening. 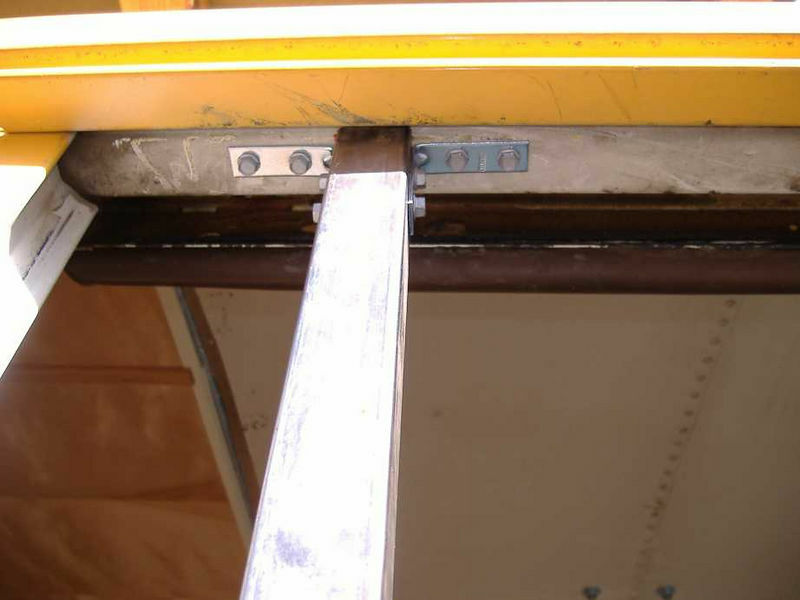 Upper end of vertical frame member, secured by angle brackets and self-drilling screws. 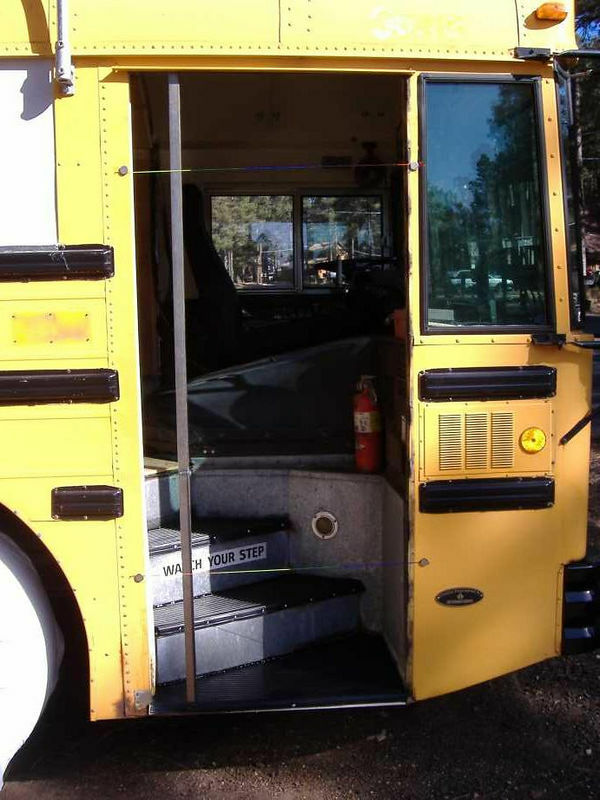 To bridge the gap between the bus skin and the door frame, we attached 26GA sheet steel using self-drilling screws. 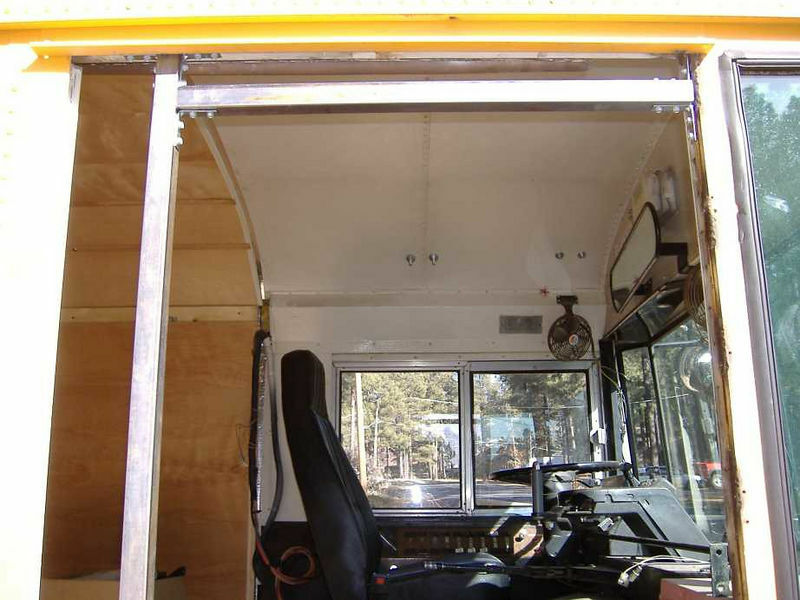 View from the inside. We'll insulate and cover the exposed sheet metal and the exposed door frame.